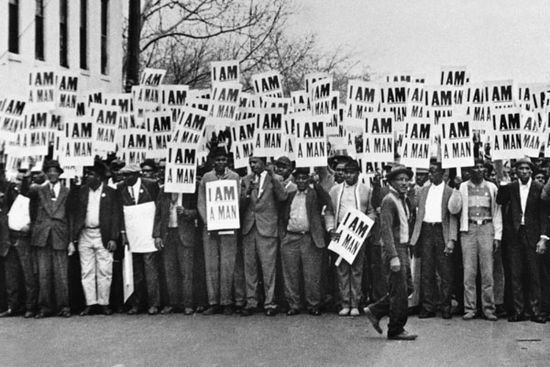 led by Martin Luther King during the sanitation workers' strike. Every year on this day (and on some other days as well) I try to post something that might counteract the sanitized remembrances of Martin Luther King, Jr. we find in the mainstream press. At a time when our own "liberal" governor here in New York has drawn a gun-sight (Sarah-style) on the backs of public sector union members, it is important to recall that King died in Memphis supporting the rights of Sanitation Workers (yes public employees) to unionize. On the off chance that Mr. Cuomo would like to brush up on his history, he might start here.